Saturday and Sunday, September 7-8, 2019 Mundelein Community Connection and the Mundelein Park District announce the 9th annual Mundelein Fine Arts Festival, a juried art festival that will showcase the unique talents of 45 fine artists who work in a variety of media. The two-day event will be held from 10 am to 5 pm daily and will feature top-notch artists, local musicians and tasty food. In addition to professional artists, Mundelein Fine Arts Festival will also highlight artwork by select students from Carmel Catholic and Mundelein High School. (Ages 12 and under) Children can shop in a tent full of art donated by festival artists. Most pieces will be sold for $5. Proceeds benefit the Mundelein Parks Foundation. The Festival is located in Kracklauer Park in downtown Mundelein, (100 N. Seymour Ave.) Artists will be located in the paved area for easy access by visitors. Musicians will perform throughout the weekend. 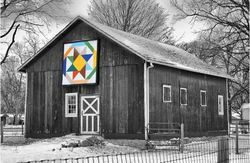 Our Mission is to support the arts, provide scholarship money to deserving art students at at Carmel Catholic and Mundelein High School, and bring more attention to Mundelein as an excellent place to live and visit. Become a Sponsor or a Purchase Award Partner. 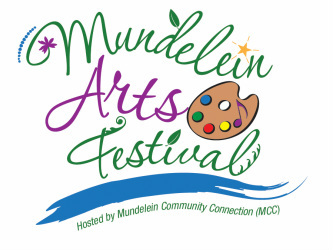 The Mundelein Community Connection and Mundelein Park & Recreation District proudly present the annual Mundelein Arts Festival. 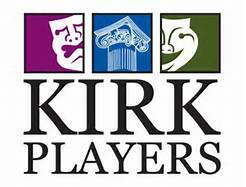 The Kirk Players Award the Emerging Artist Prize to Beth Markko at the 2018 Mundelein Arts Festival.